My name is Eve and I am a stain removal specialist. Sometimes I get hired by warranty companies to service claims on furniture protection plans. Years ago, I met Delain--a high functioning autistic woman, through one of these warranty calls on her sofa. Immediately, Delain's innocence and fascinating intelligence won my heart over. Although her behavior was a bit strange and her house was in a pretty scary condition, her wit, child-like curiosity and heart of gold, shone so bright! With a very challenging background of severe abuse and poverty, Delain's zest for books, learning, natural healing, religion, dinosaurs, ponytails, foreign languages, holidays, easter candy (any candy, really) and dogs with white-tipped tails never dwindled! Several times a year--for years now--I have been called back to Delain's house for claims on her sofa. Increasingly, I have begun to be gravely concerned for her well-being because of the condition of her ceilings and walls. 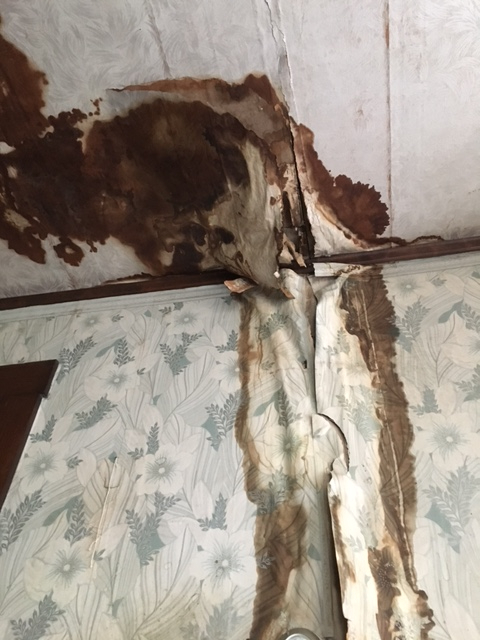 Water has been coming into her house for some time. She told me that she needed a new roof, but couldn't get the help that she needed through Habitat for Humanity because the house was in her brother's name and he had died 14 years ago, owing Medicaid money. 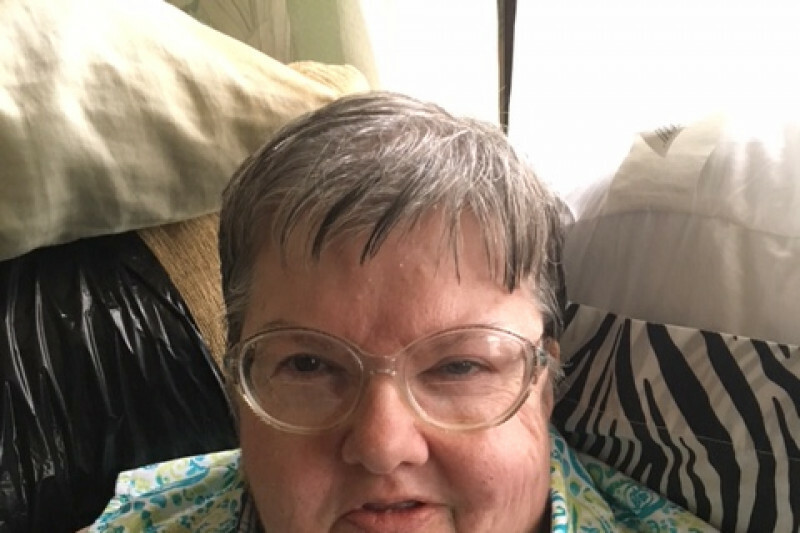 She was terrified to go to probate because she thought Medicaid would take the house. This is the house she was born in and she has lived there her whole life (nearly sixty five years). She is on public assistance and pays the taxes, utilities etc. and is fully able to function on her own. Clearly, over the last few years, the problem with the roof has gotten severe. I donated a ton of plastic and tarps that the neighbor put up two years ago and that helped for awhile, but now big chunks of wall and wallpaper are coming off and the situation is desperate! Rainstorms are terrifying and I am sure her roof will not make it through the winter. This year I began to research how to help her. 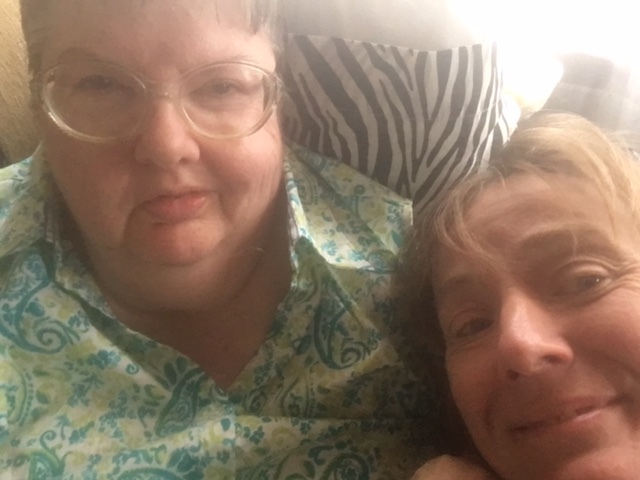 With the advice from an attorney friend, I helped her write a letter to the Attorney General to see if Medicaid did actually have a claim on her house. We got a response recently that said there was no claim against the house. YAY!! We are now in the process of getting the house put into her name. This is cause for great CELEBRATION!! The sad news is that after calling Habitat for Humanity and various other public assistance programs, I realized that help for Delain is still unavailable for quite some time. Habitat for Humanity in our area is already booked with projects for the next year and other agencies that I spoke with stated that the house must be in her name for at least a year before they can help. Please help me to fund Delain's new roof! Her neighbor will donate his time to fix her ceilings and walls if we can stop the water from coming in!! Please help with any amount you can! financials on Delain's project... And the amazing ending!! We then had $798.00 in personal donations. Making the complete total $3939.71. We had a balance left over of $178.92. Now, here is the amazing part: I had an attorney offer his services for free to get Delain's house through probate and into her name. The house is now in her name, I picked up the papers the other day! YAY! He told me that all he would charge me was for the filing fees...and guess how much the final bill was? 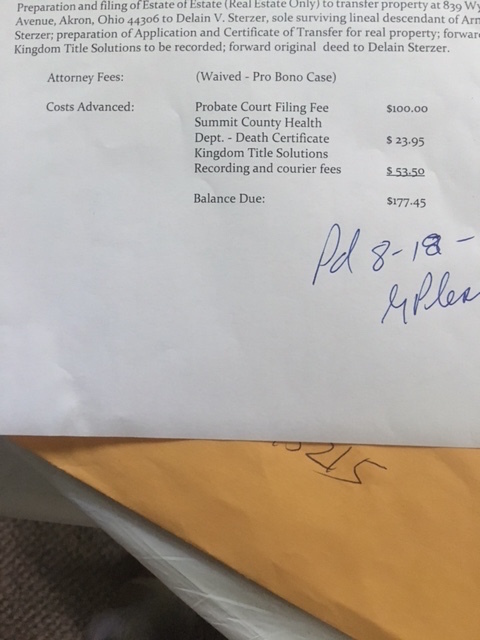 I had just enough from what we raised to get her immediate needs met and get the house into her name so that she can get help or other public assistance for any future problems!! So AMAZING! So PERFECT! WE DID IT. WE ROCK!! Legacy roofing-- for support and great ideas. for a big discount on supplies. I will record another with pictures of the house and new roof and send it out later tonight!! Thanks again everyone for making this huge difference in Delain's life!! She is very grateful. Hi everyone… Thank you so much for your support of Delain. She is no longer getting wet!! Hello everyone!! Delain's roof is getting finished up tonight. We generated just about enough to pay for everything. I appreciate everyone so much! I am going out of town and will update you all with photos and videos of the roof and Delain when I return in just over a week!! Thank you all again--so very, very much.